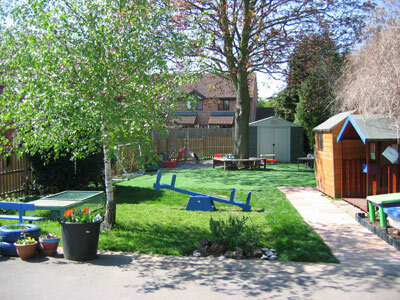 Manorcroft Nursery Egham is a preschool for children between the ages of 2 and 5 years, rated as 'OUTSTANDING' by Ofsted in Personal Development, Behavour and Welfare. It is set in the grounds of Manorcroft School but is not a part of it. 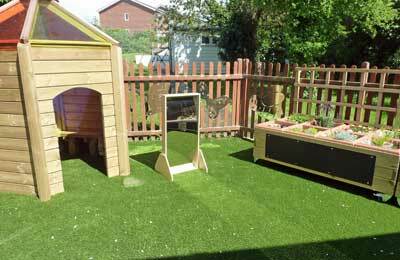 The Egham nursery is a registered charity and therefore non-profit making, enabling us to keep fees to a minimum. Monday to Friday from 08.30 am until 3.30 pm. Parents can choose which days their children attend and children can attend from just one session to the whole day (subject to availability). See Sessions page for more detail. Registering with us is easy, just email us at info@manorcroftnursery.co.uk with your child's name and birth date. We will let you know if there is a waiting list for this age group, and details such as the grant you are entitled to or fees if any. We are fortunate to have a team of qualified, dedicated and experienced staff, who have all worked together for many years. We aim to foster strong links with parents and keep them informed about their child's progress regularly. Parents are welcome to talk to staff at any time. Parents are also very welcome to help at nursery sessions - it is a fun way to see how your child is progressing and meet their friends. The leadership team inspires staff who are dedicated to the welfare of all children in their care. Children form very strong attachments to their key person and this helps them to quickly become emotionally secure. Staff provide an exciting range of resources and activities that encourage children to explore and investigate the world around them. They fully support children's individual interests and help them to become inquisitive and active learners. Children behave exceptionally well. Staff are outstanding role models who provide consistent expectations of appropriate behaviour and boundaries. As such, children have a very good understanding of what adults expect of them. The leadership team values strong partnerships with parents and other professionals. Together this shared approach helps them to carefully plan for children's learning and has a very positive effect on those children with special educational needs and/or disabilities. All children develop well from their starting points, with some children exceeding their typical levels of development. Between the ages of 2 and 3 your child may be entitled to 15 hours (5 sessions) free per week subject to financial criteria or automatically funded criteria. This is called FEET funding. After age 3 your child is entitled to 15 hours free per week or 30 hours free if both parents each work at least 16 hours per week (or just 16 hours per week for a single parent). 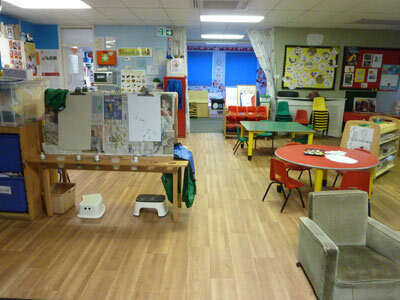 Manorcroft Nursery preschool was opened in September 1980 and has become an established part of the community. The nursery is unique in Egham, at least, in that it is owned by the parents of the children currently attending it. When those children move onto the 'Big School' the next set of parents will own the nursery and so on. This is a philosophy that we believe helps parents and children feel more a part of the school. From our early beginning this has always been the case, look at the Our Beginning page to see this in action. The nursery provides a half termly newsletter which is kindly produced by one of our parents. To view the latest one please click on the link below.